This is his 70th article. Click here for his entire series. Managing expectations is a difficult chore. This applies not only to your own but those of others. When you publicize your aspirations they sometimes come back to bite you. I learned this first hand when we launched Major League Soccer in 1996. I inherited a business that already had branded itself as “Major League”. I spent the better part of my four years there defending that phrase. It was a battle. There is a wonderful “SAT word” for this excessive pride: hubris [from the Greek hybris]. A classic rock and roll composition addresses this braggadocio. Dire Straits, the British band that spanned the 1977-1995 era, emerged from obscurity with their first hit, Sultans of Swing, released in 1978. The song showcased both the Dylan-esque voice and the guitar virtuosity of frontman Mark Knopfler. Those who are too young to have heard it played on the radio may know the tune from either Guitar Hero 5, or from the soundtrack of the 2012 movie Argo. Knopfler was stunned by this grandiosity in the face of mediocrity. The Cleveland Cavaliers have become the NBA’s version of the Sultans of Swing. Ever since LeBron James engineered his return to Cleveland last summer, the Cavs have been touted as the favorites to win the 2014-15 NBA Championship. After all, the restructuring united the best player on the planet, James, with a young star-in-the-making, Kyrie Irving, a prolific point guard. When the team added Kevin Love, an all-star forward from Minneapolis who can both score and rebound, pundits and odds makers made the Cavs the prohibitive favorites to win it all. However, basketball is a team game that is not necessarily won by the team with the most stars. The “new” Cavs have been experiencing a rough inaugural, achieving only a 6-7 record in their first thirteen games, including a four game losing streak last week. They are difficult to watch. LeBron has been incredibly inconsistent. He has averaged 32 points per game in the games they have won, while averaging only 19 points in their losses. He and Kyrie seem to be fighting for control of the ball. The team’s defensive efforts have been weak and ineffectual. The floor spacing has been woeful and they suffer from excessive turnovers. It does not help that the team also has a rookie coach, David Blatt. Though apparently a smart guy [Princeton grad] he made his mark in Europe and international competition and has negligible NBA experience. He looks like a fish-out-of-water on the sidelines and it appears the team is looking only to LeBron for leadership. 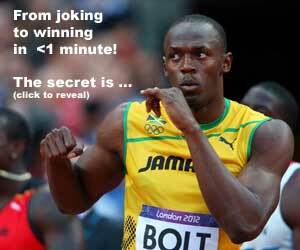 READ World's Fastest Man Using a Radar Gun? Kevin Love, in particular, is having the greatest difficulty meshing his game with the “Galacticos”. With the Timberwolves, Love scored almost at will from the “paint”, the “knee” [side of the key], and from the three point arc. LeBron has special needs from that position to maximize his game. He works best with a “Stretch Four”, a tall player who can shoot from the outside and open up space inside for his slashes to the basket. Love has become Guitar George of the Sultans: required to play rhythm, left-handed guitar instead of lead despite the fact “he knows all the chords”. I am fascinated by the process of team-forming. How do you get individuals with talent to adapt their strengths for the sake of the whole? How do you decide who should sacrifice their style? Who should expand theirs? Besides re-teaching muscle memory, you have to create group habits so that behavior becomes instinctive. A culture has to evolve. And, how long does this process take? Can you accelerate this “adaptation”? Many have forgotten that the Miami Heat went through a similar assimilation four years ago when LeBron, Dwayne Wade and Chris Bosch first played together. 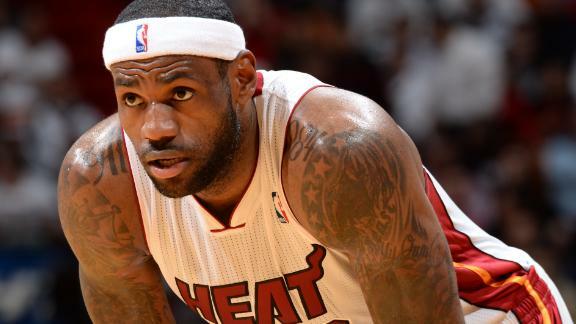 In their first season after nineteen games, the Heat was 9-10 and stumbling around the court. Fans were calling for the ouster of their wet-behind-the-ears coach, Eric Spoelstra. This is a team that ultimately was in the finals for the next four years and won two rings. Bosch, in particular, had to reinvent himself to complement LeBron. Kevin Love should look at a lot of Miami game film to get himself out of his slump. There are two things you can take to the bank. One: the Sultans of Swing will never get any better. And, two, that the Cleveland Cavaliers will.